Try to determine how many children Anna had with Peter Sohl and with Herman Meyn. Try to find Herman and Anna's family on a ship's passenger list, and see who traveled with them. 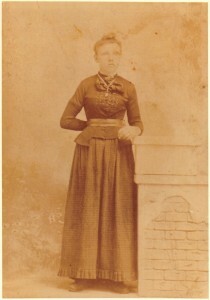 Carl was born on the ship when they crossed (1871). But hopefully, Anna's children by her marriage to Peter Sohl would have traveled with her and would be listed. Try to determine which of Anna's children survived her in 1910 (sure about Heinrich Sohl and Augusta Meyn Burrell, not sure about Anna Sohl Kruger, and there was one more child, which may or may not be Bertha Meyn). Try to determine what happened to Bertha Meyn. I'm sure there's more, but I'll have to figure it out as I go.